Welcome to Poppy's Guest House where you will be sure of a warm and friendly welcome. Whether on business or pleasure Poppy's central location allows easy walking access to local attractions. The Barbican Reach Guest House is family run, with a relaxed and homely atmosphere. We can accommodate most people, whether you're a family with children visiting Plymouth for a holiday,shopping trip or here on business. Kynance House is a family run hotel with an excellent central location in Plymouth. 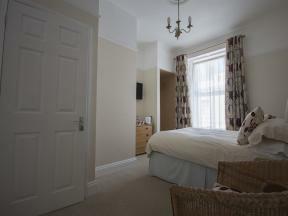 It is located within 15 minutes of the train station and within easy reach of Plymouth's major attractions. You are guaranteed a warm welcome at our small, friendly home, close to Plymouth Hoe, the historic Barbican, Plymouth Theatre Royal and all other entertainment facilities.